Oziwood is the smart alternative to natural wood. This man-made product was developed with the aim of creating a environmentally sustainable option that offers all the benefits of natural timber without the drawbacks. This means that it is now possible to enjoy a gorgeous natural timber finish and texture, in a material that is stronger and more resilient. 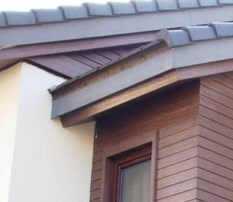 Unlike natural timber, this material does not require oiling and varnishing. 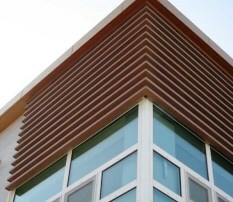 In fact, there is basically no maintenance required to keep this material looking beautiful and sleek. As the name suggests, Oziwood is proudly Australian owned, and has been designed to survive in the harsh Australian climate. A timber finish looks at home on traditional and modern properties alike, and the diverse range of colours makes it easy to find the tone that will bring out the beauty of any home. The complementary colour range makes it easy to match all the elements of your home that use Oziwood materials. Due to its ease of use, Oziwood is the handyman’s dream product. Specialised machinery is not needed, and the boards can be cut and sanded just as you would with natural timber. The plastic element means that it will not crack or warp, and when you’re finished there is no painstaking polishing stage. 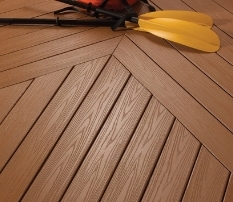 Oziwood is ideal for outdoor use as it is weatherproof and rot resistant. 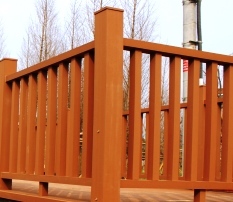 It is available in both screening board form for fencing, eaves lining and cladding use, as well as decking board form. Both commercial and residential customers stand to benefit from this leading innovation. Oziwood is available from Unimade or from selected resellers. Ask your builder about incorporating this unprecedented product into your new home.